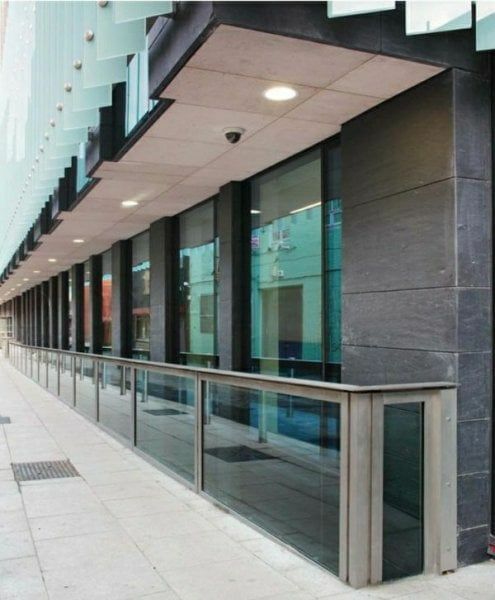 Our glass flood barriers utilise a combination of specially designed, high-strength structural glass and engineered frames designed to withstand the static and impact of the specific location. 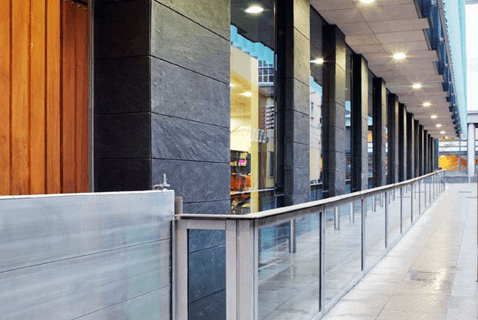 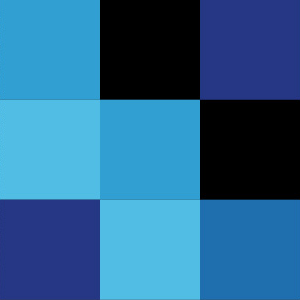 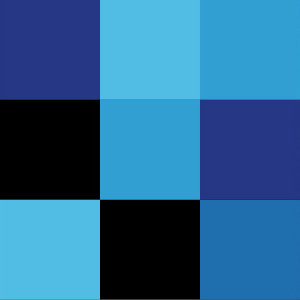 A structural anchoring system is specifically designed to be watertight with impact resisting, sealing technology. 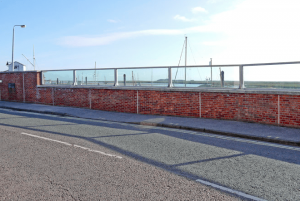 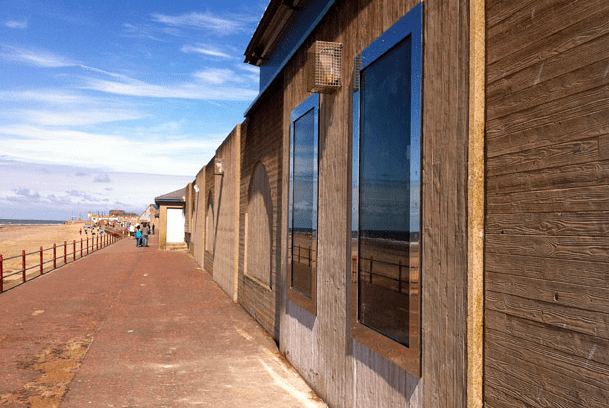 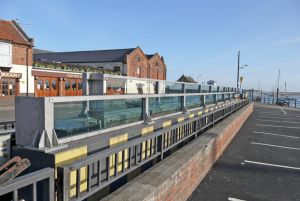 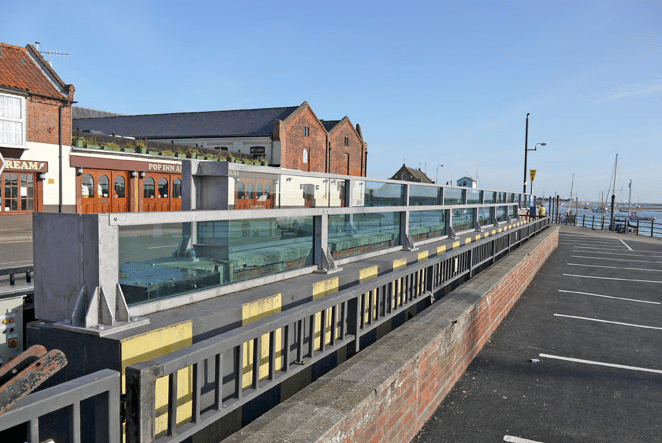 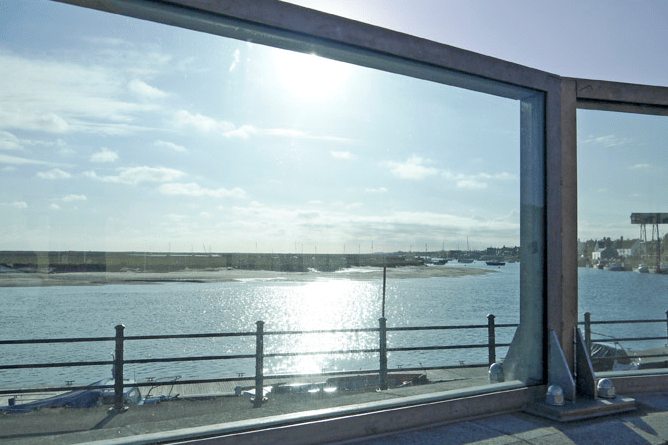 Engineered glass flood barriers are the ultimate in unobtrusive, permanent flood defence solutions and can be used in most situations where visual amenity cannot be compromised, for example river banks, building perimeters, sea walls and viewing platforms. 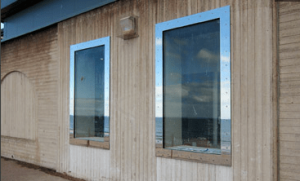 All components are permanently installed, meaning there are no storage requirements for the flood protection, in addition to its virtually maintenance-free features. The steel and structural supporting elements of the flood barrier have a design life of over 50-years, with the sealing system and glass panels being designed for 30+ years. 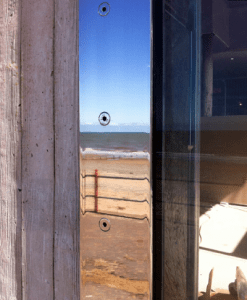 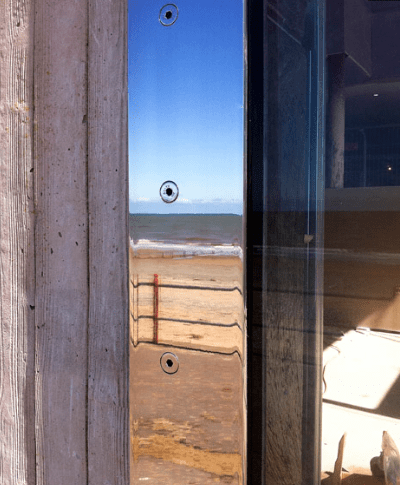 All fixtures are either tamper-proof or concealed with fixed covers, giving the flood defence longevity and providing no need for operator intervention. 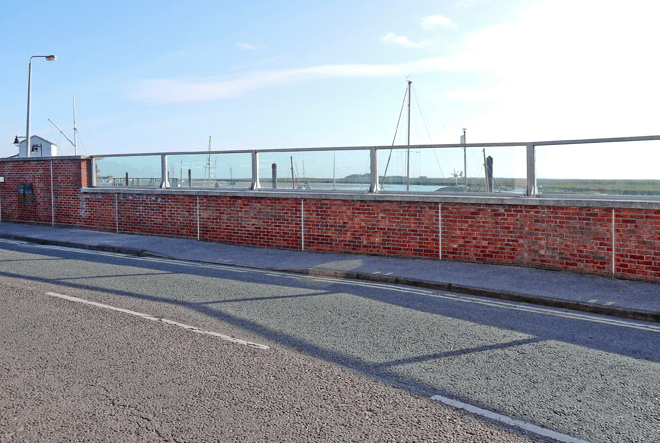 The flood barrier can be retrospectively mounted onto suitable existing foundations. 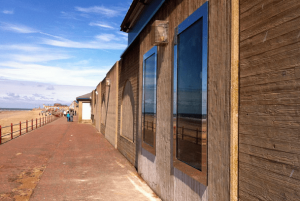 Individually designed, the defence has the beneficial ability to be matched with the architectural and aesthetic requirements of a property and its surrounding landscape. 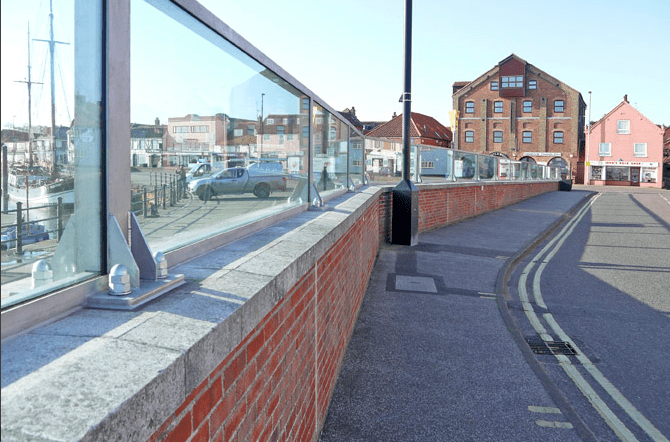 The flood defence system can also include integrated floodgates and/or demountable flood barriers in order to provide access points.